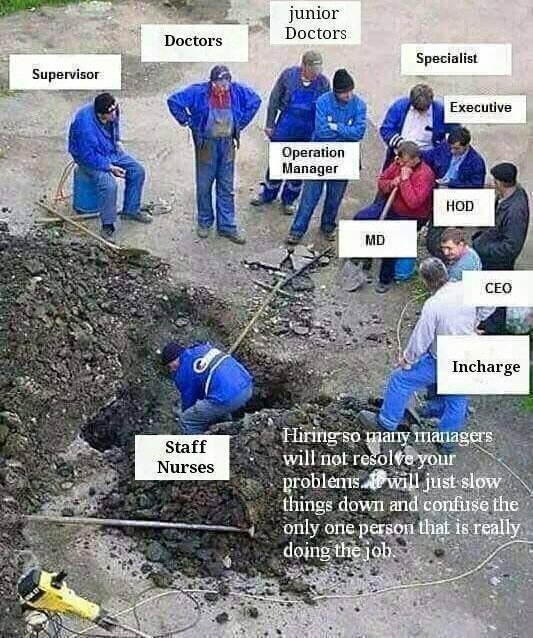 Shared on the INMO Twitter page, the image depicts a staff nurse doing the manual labour while other hospital staff stand around watching. The post has been criticised. What do readers think?